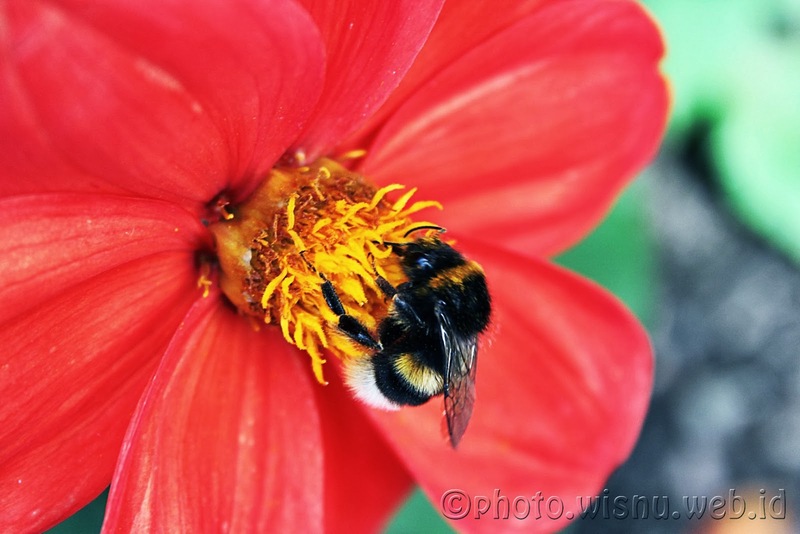 A bee lands on a flower to collect nectar, then pollen sticks to its legs. Hmm, actually I don't know exactly about fertilization, but as long as I remember, the pollen that it gets from this flower will be transferred to another flower and fertilization will happen. But I'm still not sure.